Give color to the rivers or at the water in Minecraft. 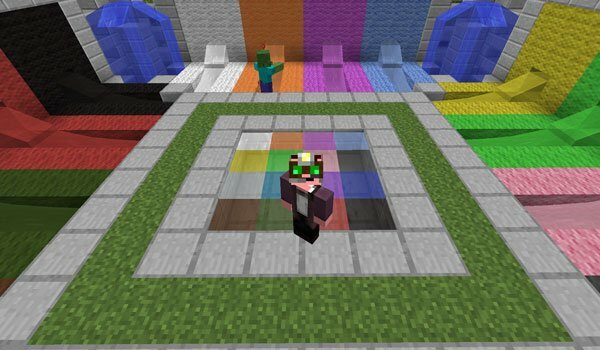 Rainbow Liquids 1.7.2 and 1.7.10 is a mod that allows us to use 16 dye colors of the game to tint the water, the rivers, pools, fountains….well, for using it with any liquid you find in the game. Furthermore, this is not only an aesthetic issue, each one of these colorful water can cause a potion effect to any of the players who touchs the water. To eliminate the effects that this water has, you should drink milk, to get rid of any toins of the body of your character. How to install Rainbow Liquids Mod for Minecraft 1.7.2 and 1.7.10?